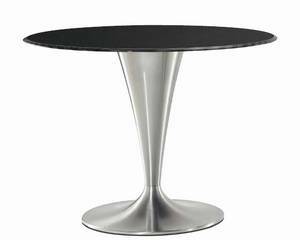 Description A stunning modern dining table with a conical shaped steel base, available with a satin or chromed finish. The round top is solid laminate in black or white. Grey and ivory tops are available on request, please call for details.